There is no rap project that would be better suited for a Halloween release than a Metro Boomin, Offset and 21 Savage collaboration album. The three young rap stars collectively make some of the most chillingly captivating trap music out right now, making an alliance of this magnitude — released under the title Without Warning — a definite head-turner. Metro Boomin is known for his trunk-rattling trap beats and bangers, but on this project he gets dark. The flashy clap drums are traded in for ominously lo-fi 808s, and the melodic keys are swapped out for eerie bass lines; it's the perfect spooky backdrop for 21 and Offset to decorate with haunting images. The two trappers hit each cut with a mess of menacingly murderous raps that supersede regular gun bars. It sounds like both 21 and Offset recorded their verses and choruses with Jason and Freddie masks on, a notion reinforced on "Nightmare," as Offset devilishly croons "Freddy Kruger, give 'em a nightmare / Soon as you close your eyes, n***a, we right there." There is also some storytelling scattered in, especially on "Still Serving," where the pair of trappers describe life for those still behind bars. Normally on a project with this many hitmakers taking centre stage, there would be a notable smash that could generate crossover appeal, but there isn't one to be found; Without Warning is quick, dirty and perfect for a frighteningly good turn-up, but it won't shoot to the top of the charts the way all three have shot up the Billboard charts before. The trio's intent is crystal clear here: make hypnotic murder rap that evokes a screwface and head-nod. 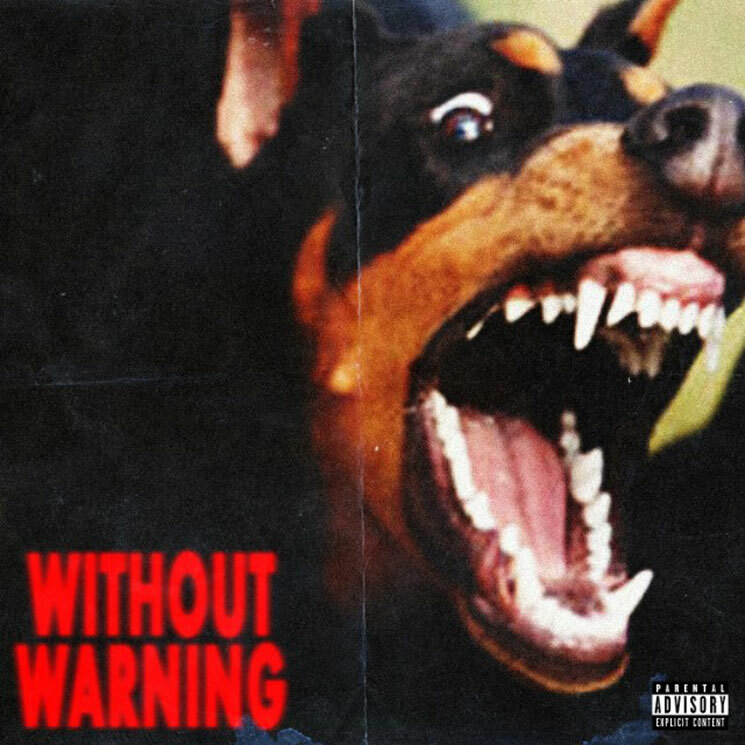 If horror movies aren't your thing, though, Without Warning might not be the rap project for you.